Many of the most famous dishes and drinks of a region are born out of a simple desire to use up a singular ingredient that is in abundance. The excess of egg yolks after the whites were used to clarify claret in Bordeaux gave rise to a ubiquitous and universally loved dessert called canelés. The Portuguese egg custard tart recipes were developed by local monasteries for the same reason, as the whites not only clarified port but starched ecclesial garments. Limoncello was born on the Sorrento-Amalfi coast south of Naples thanks to a constant generous supply of lemons. “Lemons, olives, and tomatoes—that’s all they had available for free,” says Nino Cioffi, a recent emigrant from Sorrento, where his family has a gelateria and restaurant well known for its 80 different kinds of sorbet and gelato. Cioffi, who opened Sorrento Ristorante in Toronto in the spring of last year, has quickly become a good customer of Jannamico, the original limoncello to be sold in Ontario. Limoncello is served as a digestif in Italy and is practically their national drink. There are hundreds of small producers in the Sorrento-Amalfi region, where lemons have been growing for centuries. It’s no exaggeration to say there’s likely a nonna in every town peeling lemons in the back of her kitchen, making a gallon at a time for local sales. The Sorrento lemons have a thicker skin, ideal for a product that gets its flavour from the peels alone. Groth, for HelloCello, uses a custom-distilled, grape-based 174-proof alcohol, which he feels is healthier than grain-based distillates like Everclear. His lemons are certified organic and his sweetener is raw agave sugar, which he says has a lower glycemic index than refined sugar but tastes sweeter, so 30 per cent less can be used. “They still use industrial alcohol and sugar in Italy because it’s cheap,” says Groth about the large commercial limoncello producers. At the moment, no HelloCello is sold in Canada; to taste it you’ll have to visit California’s Sonoma Valley. Limoncello gained recent notoriety in November 2006 when Danny DeVito appeared on the TV show The View. If you watch the clip on YouTube, it’s hard to tell if he’s acting drunk for fun or actually slurring his words because of a bender he went on the night before with his friend George Clooney. Said DeVito on the occasion, “I knew it was the last seven limoncellos that was going to get me.” The next year, he announced the launch of his own limoncello, complete with a cheeky scratch and sniff label. 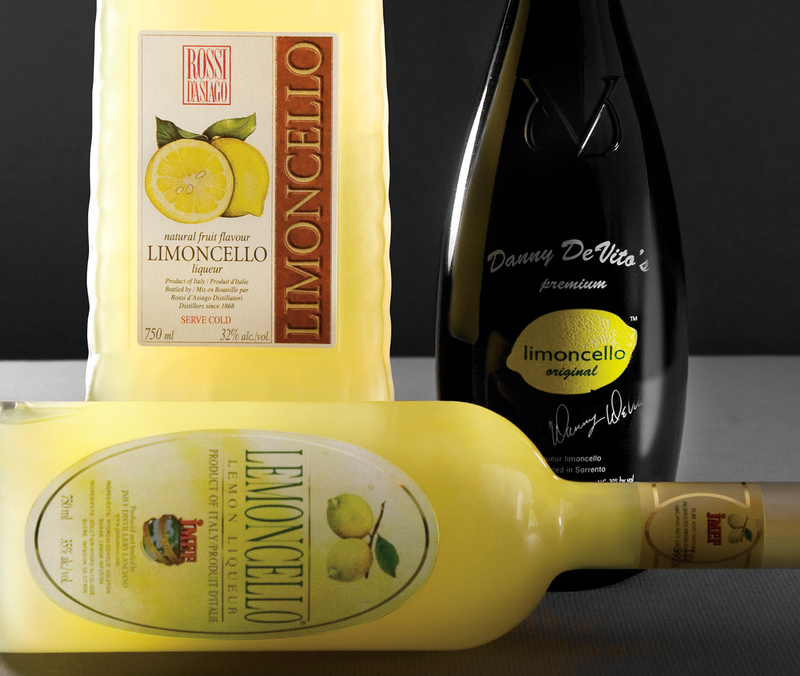 Danny DeVito’s Limoncello is now sold in the U.S., and owner and importer Iconic Brands is currently in negotiations to bring it to Canada. Sandy P. Garofalo of Caliber Fine Wines and Spirits, the agent for Jannamico Lemoncello in Ontario, has his own twist on limoncello: he advocates cooking with the product or splashing it on any dish that calls for lemon. Oysters and limoncello is a favourite of his. “I’ve gone as far as putting it in a Caesar salad,” he says. 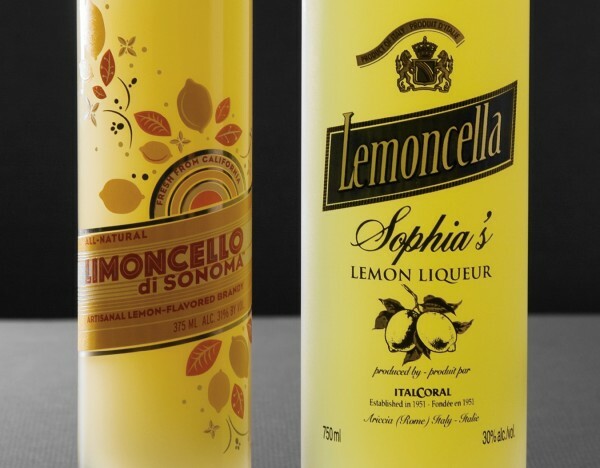 Cesare Regazzi, owner and president of Regazzi Wines and Spirits Selection and the agent for Sophia’s Lemoncella, reports a steady growth year after year. Sophia’s Lemoncella is 30 per cent alcohol with a gentle lemon peel nose that carries through on the palate. It’s milder and more like lemon drop candy than most. Rossi D’Asiago Limoncello, the number-one seller is Canada, is 32 per cent alcohol with a fragrant lemon peel nose and a fairly intense lemon peel taste that’s sweet at first with a refreshing bite in the finish. Whichever you choose, keep and serve straight from the freezer for a cool glass of liquid sunshine to cap off your meal. Cin cin.